You spend so much time and money at the salon to get the perfect hair color only to have it fade too quickly. There are some hair care things you can do at home to help your color stay vibrant longer. Remove styling product residue with a clarifying shampoo the day before you have your color applied at the salon. Avoid shampooing your hair for 48 hours after your color was applied. Use a color safe shampoo. A color safe shampoo is designed to help reduce color loss during hair washing. Use conditioner regularly to keep your hair moist making your color look more vibrant. Apply Moroccan Argan oil to your hair for healthy color enhancing shine. Many conditioners contain sun screen to help keep the sun from fading your color. Avoid styling products that contain a high amount of alcohol which may remove color. Color looks duller when the hair is dried out. Use thermal protecting products to prevent drying out your hair when using blow dryers, curling irons, hot rollers and flat irons. 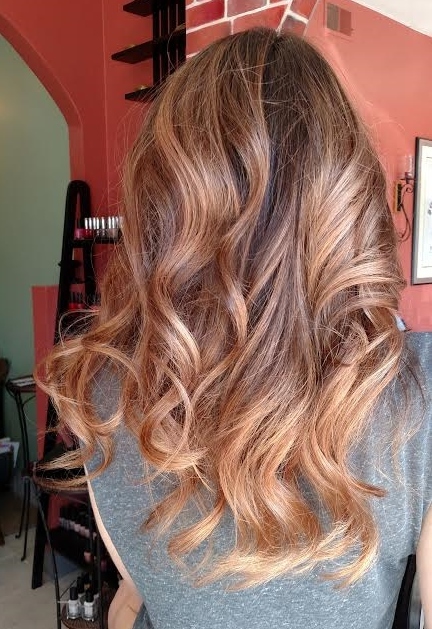 Use a color enhancing conditioner between salon visits to keep your color vibrant. These are hair conditioning products the contain a bit of hair color in them. Eufora Beautifying Elixirs Color Revive is an example of a color enhancing conditioner. Another option: Aveda makes color enhancing and refreshing shampoos and conditioners. I love Aveda products. Black Malva is for brown or black hair, Blue Malva is for Gray or blonde hair, Chamomile is for blonde highlights, Clove is for brown hair, and Madder Root is for red or auburn hair. UV protective products will help reduce fading from the sun. There are some great spray on and leave in conditions you can use. Here are a few suggestions. The sun causes oxidation in the hair which will fade colored hair. It will also lighten natural hair as we all know. Wear a hat when out in the sun to help save you color.